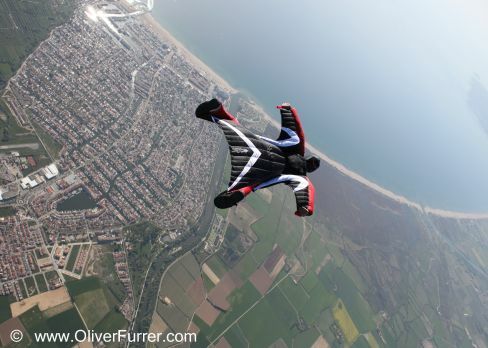 news 09.04.11: Over the Empuria Brava (Spain) Skydive centre, Oliver taught a new student the way to fly with wings. The first training jumps the inexperienced jumper flew within a beginner suit. Afterwards he made some flights within the T-Bird (Tonysuits) and improved his flying skills. 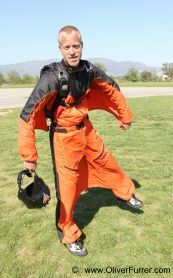 Three days of perfect weather and photo/video “one-to-one” coaching helped that another skydiver graduated as “wingsuit pilot”!